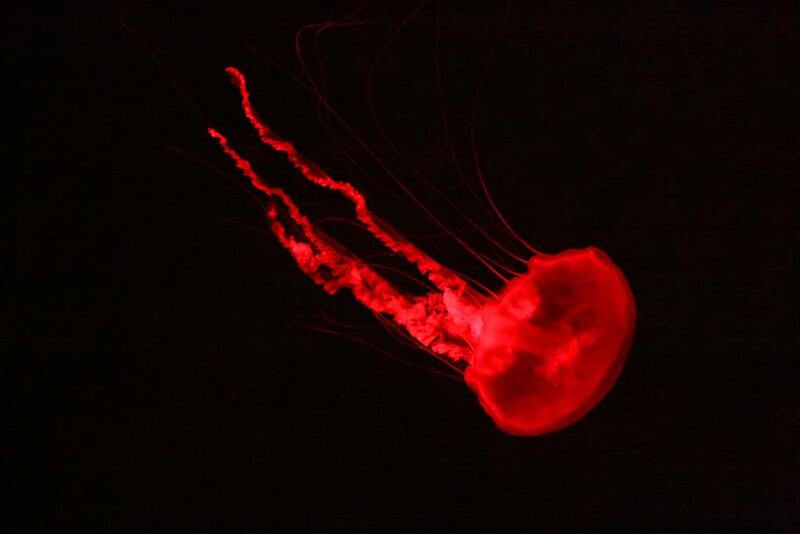 I’m sharing the above and below photographs of jellyfish, taken during a visit to Manchester’s SeaLife Centre, for a couple of reasons. 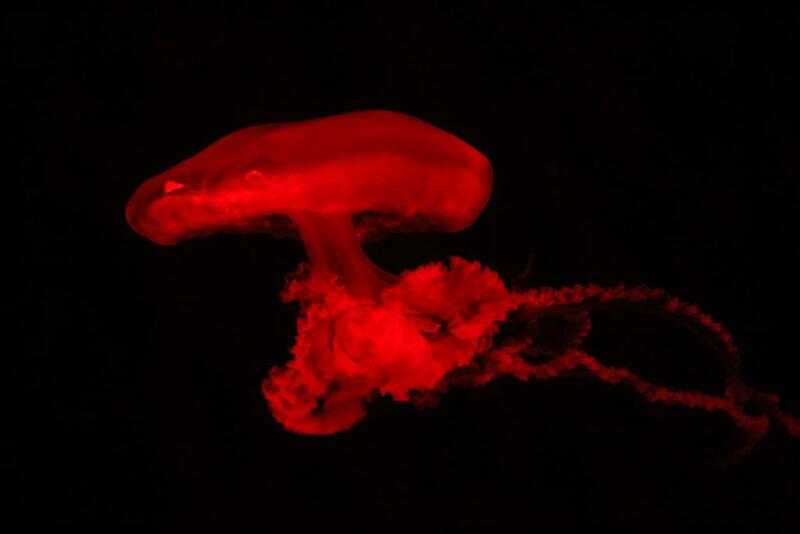 Firstly, I just like the way the red lighting made the jellyfish glow from within. 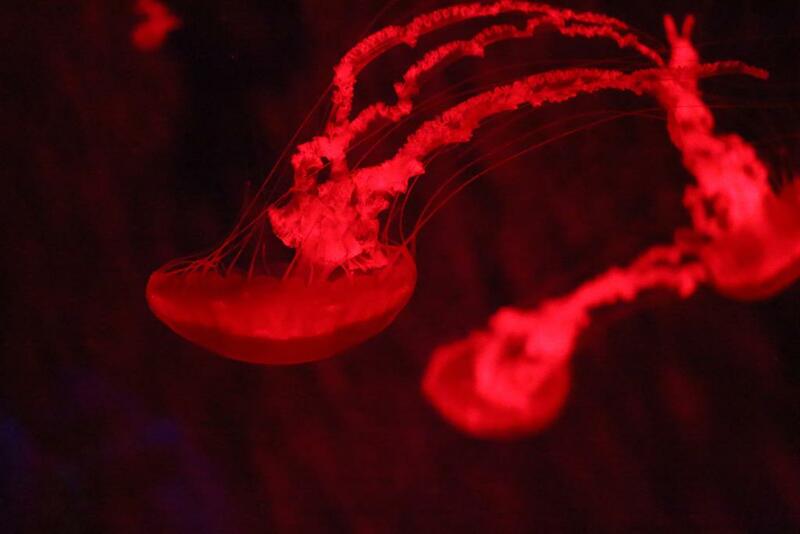 They’re housed in a constantly swirling aquarium, with buttons to alter the lighting just to one side. While I did experiment with the other selectable colours, the resulting photographs just didn’t have the same impact. Secondly, they remind me of an earlier piece of mine, which I’ve included at the end. 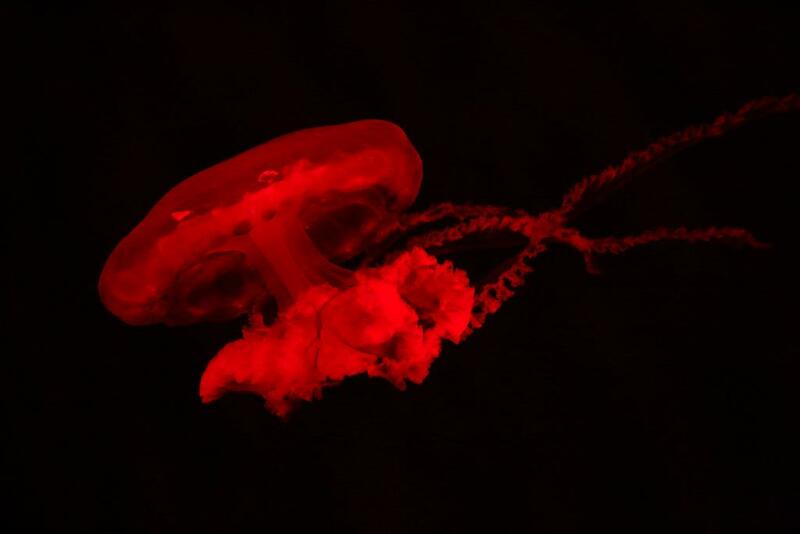 Entitled Qualle, it was part of The Colour of Light series I created in 2005. You can find more of these vivid images here.